Connect the SDA pin to the I2C data SDA pin on your microcontroller. You will also need to add two I2C pullup resistors if your board does not already have them. You can use 2.2K - 10K but we will just use 10K. The resistors go from VDD to SCL and SDA each. The AM2320 has a default I2C address of 0x5C and cannot be changed. 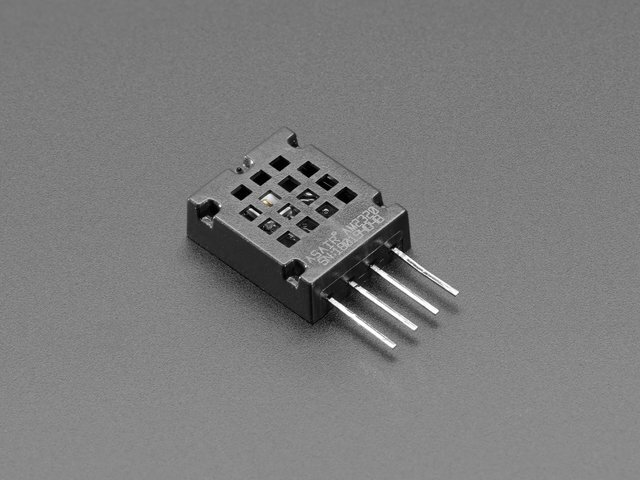 To begin reading sensor data, you will need to also install the Adafruit_AM2320 library. You can try breathing on the sensor to increase the humidity. This guide was first published on Mar 07, 2018. It was last updated on Mar 07, 2018. This page (Arduino Usage) was last updated on Apr 22, 2019.